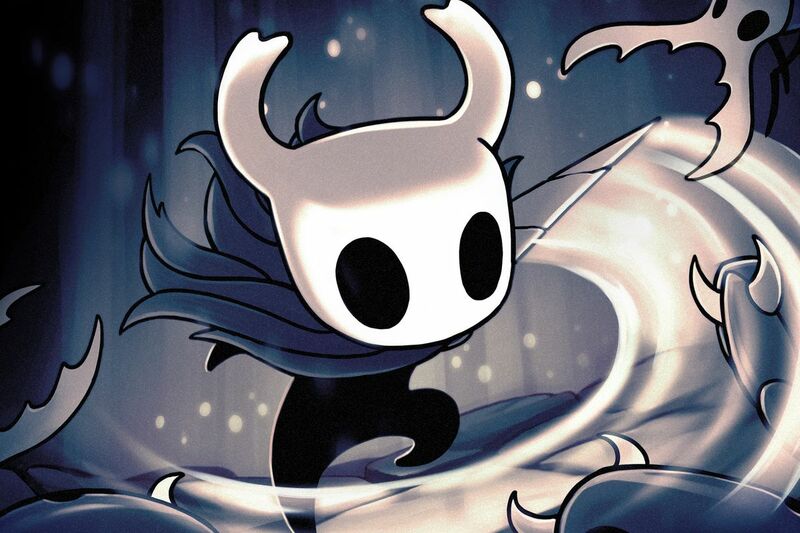 Hollow Knight drops you in a grim but at times beautiful world, armed only with a nail and a sense of adventure. You’ll soon find those assets are just enough to facilitate survival, as you delve ever deeper into a cavernous environment filled with untold danger. 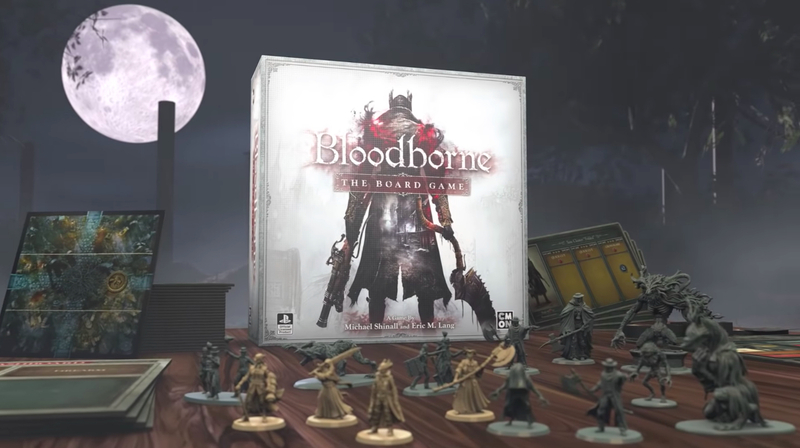 You’ll learn lessons painfully, with a lot of premature deaths at the hand of powerful bosses and the elements, but this guide will help you learn the ropes during your initial few hours of play. 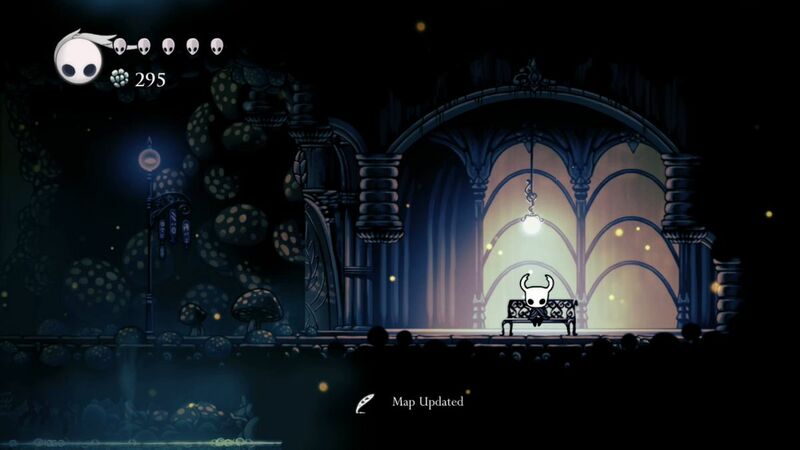 Hollow Knight features a labyrinthine world full of nooks and crannies, twists and turns. Most areas are quite large, with a few hallways that look quite similar. As you explore, you will eventually become familiar with the rooms that are most useful while backtracking. However, you can make your journey easier by making a map as you go. 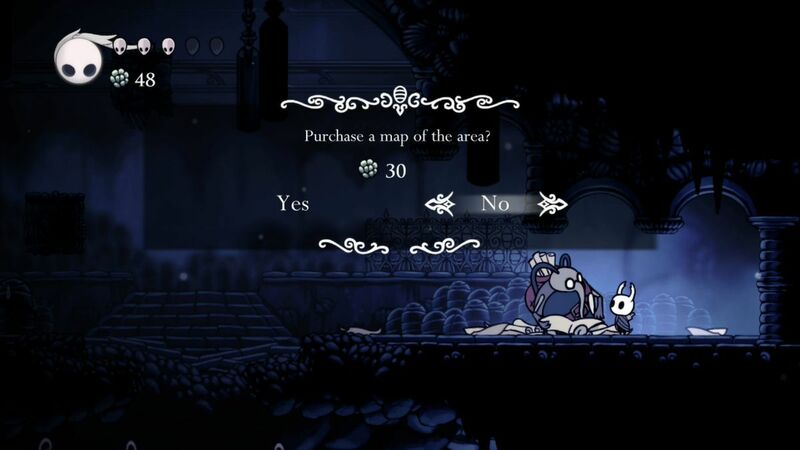 Though a lot of games feature a system that automatically starts mapping as you explore, Hollow Knight makes you purchase the necessary implements using the game’s currency, called geo. Precious shards of geo drop whenever you defeat enemies, and sometimes you can find them in clusters around the caves. Near the very start of your adventure, you come to a mostly abandoned set of a few buildings. This location is known as the village of Dirtmouth. Its main attraction is a well you can drop down to begin your adventure properly in the Forgotten Crossroads area. 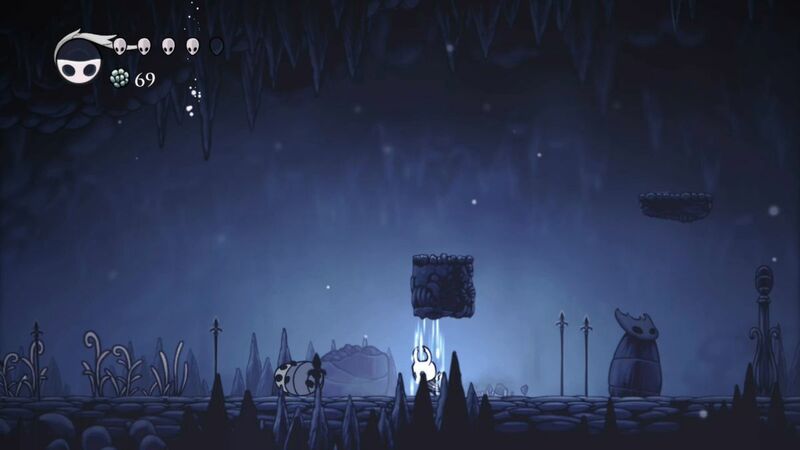 From where you arrive at the base of the well, head left and descend a high vertical shaft with platforms and flying enemies (a great early location to grind for geo, thanks to the swarms of relatively weak flying enemies you can defeat) until you reach a room with pieces of parchment paper strewn about it. The man you find there is named Cornifer. He makes maps and will sell you a Forgotten Crossroads map at the quite reasonable price of 30 geo. When you buy that map, you will find you lack a compass. The Wayward Compass is now for sale back in the building just to the left of the well, up top in Dirtmouth. You can purchase the compass from a shopkeeper named Iselda for 220 geo. 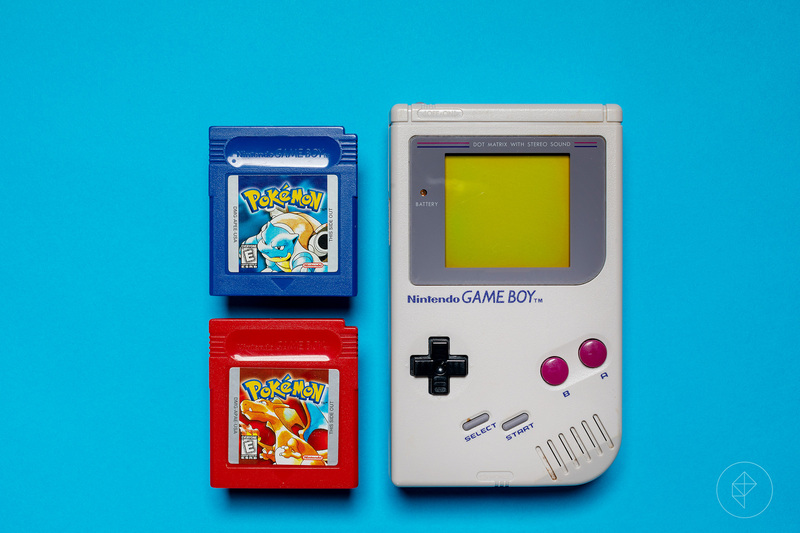 Make it your first big investment. Grind if you must by defeating weak enemies until you can afford it. Quill (120 geo): Allows you to make additions to maps, so they show areas that Cornifer has not yet discovered. Bench Pin (100 geo): Automatically marks the location of benches on your map. Vendor Pin (100 geo): Annotates your map to include the location of vendors you encounter. Iselda’s shop includes some other items you should also purchase eventually, so you can produce even more detailed maps, but the compass and the above enhancements in particular will do the most to make your journey manageable. A final note about maps: When you visit a new area, you will have to explore without a map for a time. Your progress will not appear, even if you have the quill, until you have obtained the map for the area from Cornifer. Your first goal upon arriving in a new area is to find a bench. When you locate a bench, you can rest on it and use it as a checkpoint. If you fall in battle, you will resume your adventure from the bench where you last rested. Sitting on a bench also allows you to equip charms you may have found or purchased. Charms allow you to customize your character. If you have the quill in your possession, resting at a bench also updates your map, filling in previously unmarked areas you’ve visited. After you locate a bench, you can continue exploring without fear of losing too much progress at once. Areas tend to contain a few benches, so in general it makes sense to let your search radiate out from a particular bench until you locate another one. Then repeat the process, gradually venturing deeper into an area. 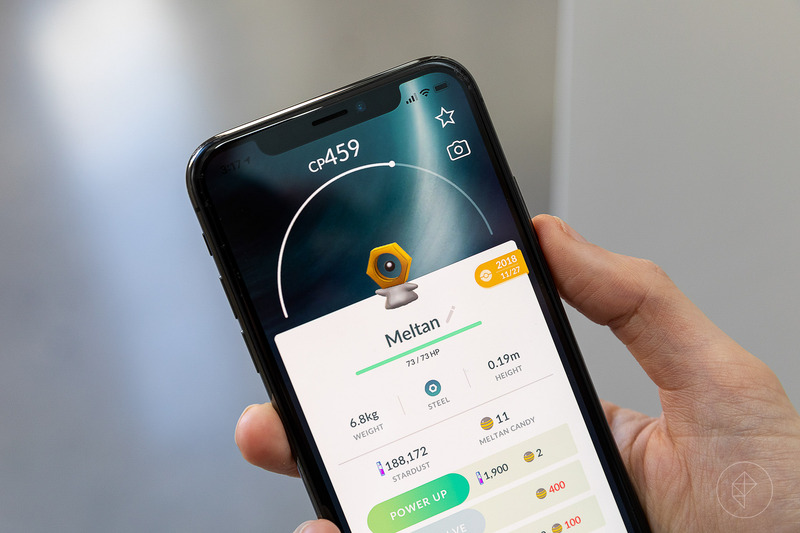 As you explore, look for Cornifer so you can buy his latest map and more easily chart your progress. You will often hear him humming happily as you get close, and there will be pieces of parchment paper strewn about the corridors like breadcrumbs so you know you’re headed in the right direction. Stations are another point of interest, and you’ll find one in each major area. When you first visit a station, you must pay a fee to unlock its gate. After you do that, you can ring a bell and summon a giant creature, The Last Stag, that will give you a ride to any other available stations. 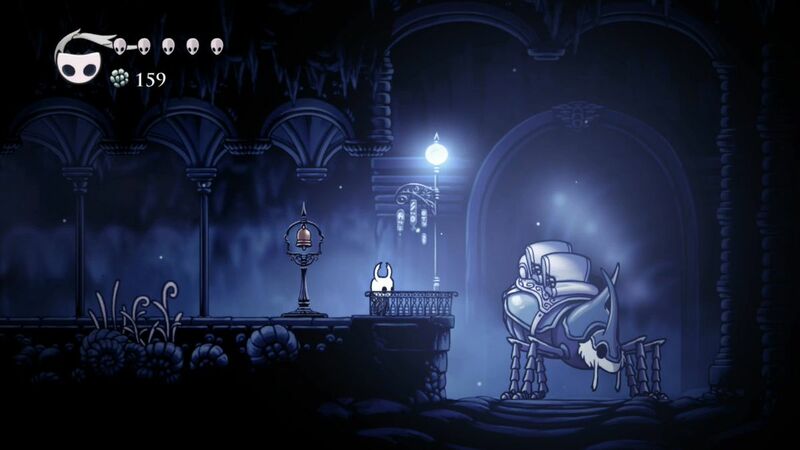 This is Hollow Knight’s form of fast travel, and it saves a lot of time. Just remember not to fast travel all the time, since sometimes backtracking through areas while in possession of exciting new abilities can draw your attention to hidden rooms or shortcuts you might have missed or forgotten about. Those rooms may even contain charms or other treasure that is all but essential to your adventure. 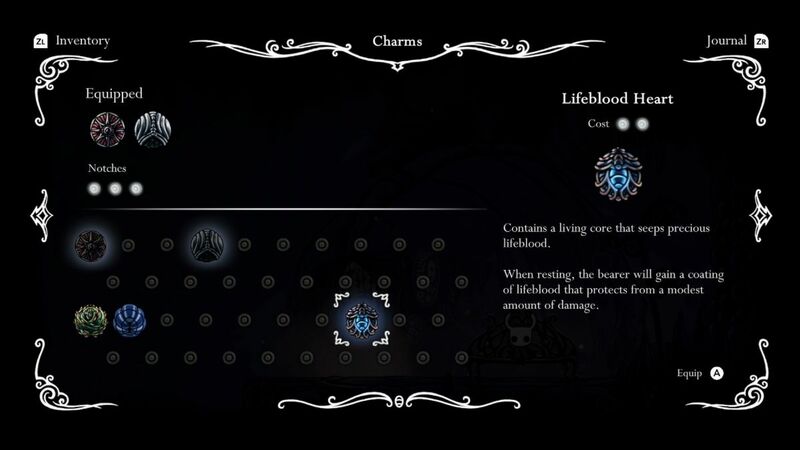 Charms are particularly vital items in the world of Hollow Night because they allow you to improve your character attributes, behavior, and mobility. The compass you purchase from Iselda is one example of a basic charm. You’ll also find other charms that allow you to dash more frequently, gain more souls when striking objects, recover extra health while resting at benches, and so forth. You can only equip a few charms at a time, no matter how many of them you collect, and you can only assign charms while sitting on a bench. 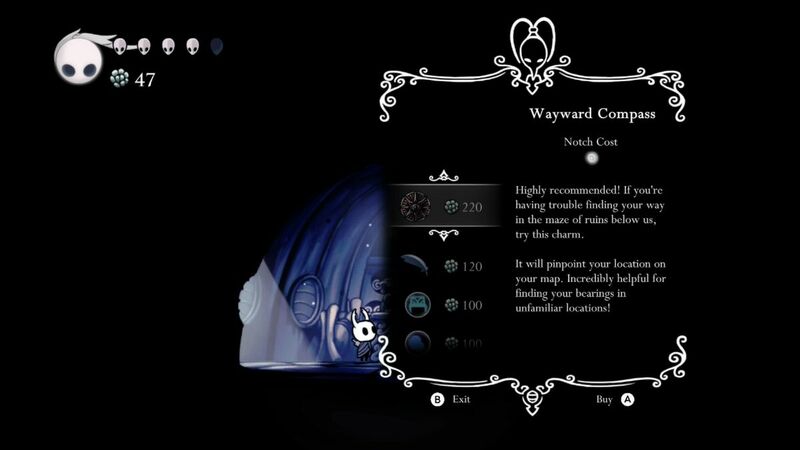 Charms require one, two, or three slots, out of an available total that gradually increases as you proceed through the game. You increase the maximum number of charms you can equip by finding or purchasing charm notches. You will find many charms and a number of charm notches hidden in out-of-the-way locations. They tend to require that you go through a gauntlet of tough enemies or environmental hazards to reach a conspicuous dead-end chamber on the map. A merchant named Salubra has also gathered an assortment of charms and notches that she sells at her shop, located in the southeastern portion of the Forgotten Crossroads. 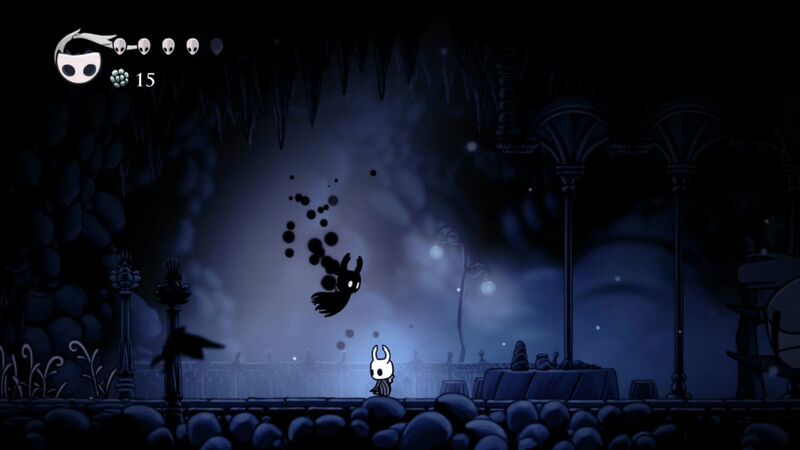 The shop is perched on a high ledge, so to reach it you will first need to acquire the Mothwing Cloak (defeat the Gruz Mother mini boss, found sleeping in a boss chamber located near the east side of the Forgotten Crossroads). A simple forward slash with the nail you rely on as a weapon is the most reliable method to dispatch many enemies, but you need to use other approaches as you progress. Some enemies throw up a shield to prevent a standard slash from striking them, but a quick hop followed by a slash can target a weak area and get the job done. Exploration occasionally requires a downward thrust with the nail as you descend from a jump. Use this technique to rebound from some spikes that would otherwise harm you. Sometimes, you may have to cross a wide body of water, over which armored enemies are positioned. You can bounce from their backs to avoid taking damage or falling into fatal water pools. Elsewhere, striking downward on rubbery berries allows you to spring upward to new heights as you explore vertical shafts. You can also aim your nail upward, by holding up as you slash. If you’re stationary, this can be a great way to strike enemies that are descending toward you, or to trip elevator switches a little later in the campaign. Putting a block between you and an enemy (or its projectiles) and letting it come at you from above, then slashing it with an upward thrust can be especially satisfying and effective. When you strike enemies with your nail, you are typically knocked back a short distance by the impact. This knock back also affects your enemies. Be careful that you aren’t pushed backward from a ledge and into an abyss. Give yourself plenty of room to work, and develop a rhythm. 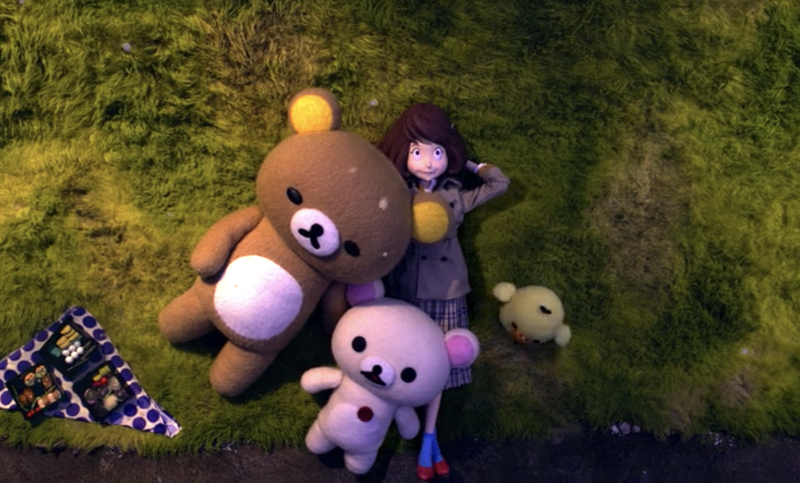 Some enemies roll your way, fall back when struck, and almost immediately roll toward you again. You have to hit them two or three times before they succumb to your attack. Later in the game, you can find a charm that optionally eliminates the knock back. Magic spells all drain the same supply of soul, which means that if you heal too often, you won’t have enough soul left when you need to unleash a powerful attack that might save you from taking significant damage at the hands of a persistent, agile foe. Hurling magical spells everywhere also leaves you unable to heal until you deal some more damage with your nail. Therefore, you must strike a balance. In general, it pays to eliminate any adversaries you encounter early in the campaign by using just the nail. That leaves soul energy available for healing. Enemies can sometimes hit you a couple of times before you’re able to eliminate them, if not more. Bosses in particular are devastatingly capable of dishing out damage in a hurry. 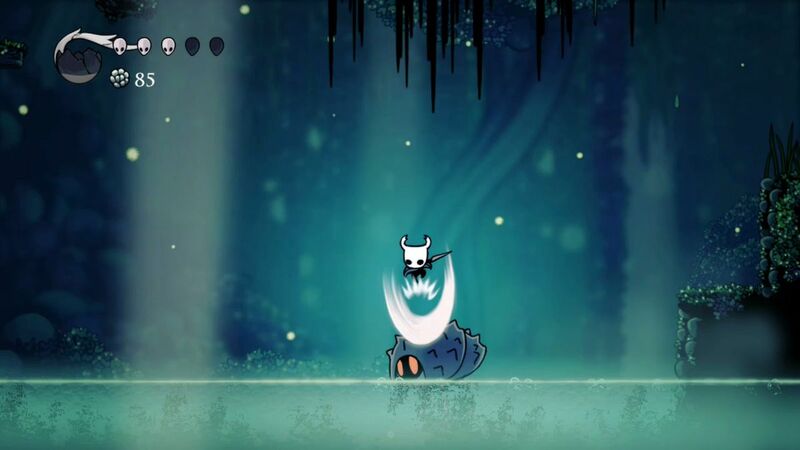 One benefit of growing accustomed to using just your nail to defeat most foes is that you develop the skills necessary to endure as Hollow Knight’s campaign progresses and the challenges grow steeper. If your battle with enemies and the elements goes poorly, you will lose the last of your vitality and collapse in a heap, at which point your blackened spirit — your shade — emerges from the corpse and hovers menacingly. 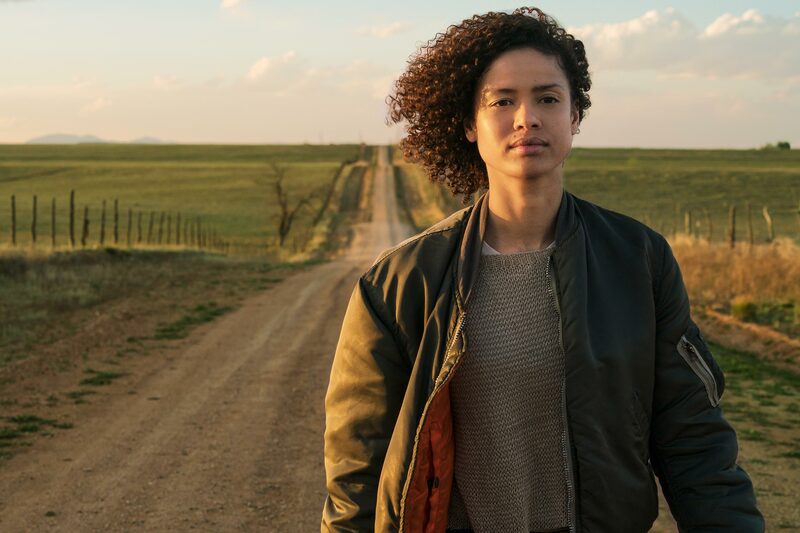 Remember where you fell, and return to the location. The spirit will be waiting and will engage you in combat. Don’t let it catch you off guard. Even if you fell in battle a long way down a particular corridor, your vengeful spirit will be located near that corridor’s entrance. Take it out quickly so it doesn’t eliminate you. Fortunately, your spirit is not powerful so much as it is a nuisance. It does gain magic as you do, but usually you can rush it and get in a hit before it’s really aware you even have arrived. 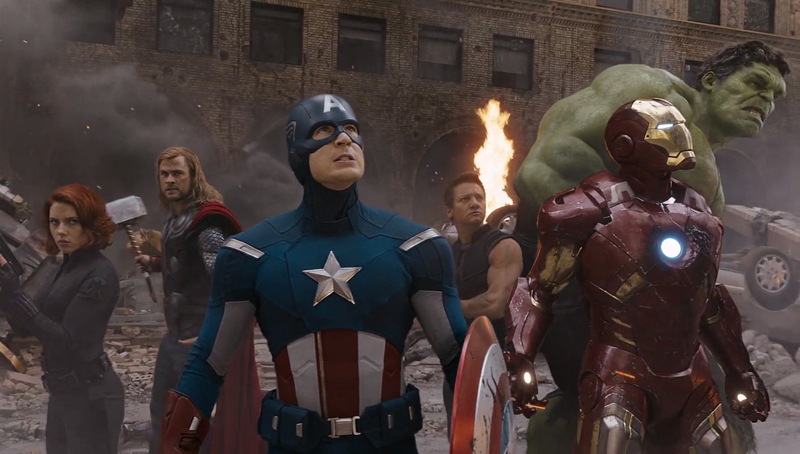 Then you can follow up with another strike or two in short order and the battle is over, just like that. If you try to proceed more cautiously, it might find time to hurl magic at you. The trick is to act swiftly and decisively. If your spirit happens to be in a location that’s tough to get back to, a vendor in the main town can retrieve it for you for the price of a rancid egg (a limited resource in the game). This is worth doing if your spirit happens to be holding tons of currency and you don’t want to risk it. This Article has a component height of 68. The sidebar size is long.